Seniors, register for the May 20th Senior Sunset here. This is a free event from 5-8pm. Complete information, including registration forms and course catalog, now available. On Thursday from 5:30 - 7:30, we will celebrate an "Evening of Art." Students in Studio Art, Art and Artist, Sculpture, Ceramics, Advanced Ceramics and Advanced Art, work all year on these works of art. The Art Show is a testament to their hard work and creativity. With over 700 works of art on display visitors will be amazed to discover that many of our students are first time artists. It is a wonderful opportunity to view your student’s drawings, paintings, sculpture and ceramics works, meet our art teachers and support the creative side of education. On February 2nd, the Bishop Alemany High School Academic Decathlon team finished in first place out of 23 schools from across Los Angeles and Orange Counties, advancing to the state competition in March. Members of the Class of 1957 dedicated their 60th Anniversary class plaque on Sunday, January 27th, 2019. Make sure to visit the south Chapel Courtyard. Please click here for voting instructions. Students created works of art on “Spiritually, Faith and God”. The exhibit runs from January 27th through April 21st, 2019. We are happy to announce our 2018/2019 Top Ten Scholars. These forty-four (44) students will be honored on Monday, April 8th, at The Odyssey in Granada Hills. Spring is here and it is once again time to tap your toes and hum along with this year’s musical Fiddler on The Roof. Come an enjoy an evening of laughter, tears, and tradition with this beautiful musical by Joseph Stein. Online staff applications are now available for students interested in joining the 2019-2020 Yearbook staff. On Wednesday, March 27th, all parents are invited to attend our Spring Semester Parent-Teacher Night. Teachers will either be in their room or at a table in Alumni Hall. Click here for guides to their location. Alemany Band recognizes heroes and learns about firefighting. On Wednesday, March 13th, the Senior Class will be holding a Prom 2019 fundraiser at Ubatuba Acai Restaurant in Northridge. Register for this Color Fun Run that will have the whole family excited. Join our Alemany Community on March 16th as we exercise good, clean fun and fitness on our beautiful Alemany campus. Brochure and class schedule now available. Congratulations to senior Kaylin De Silva who received her acceptance to Ivy League Cornell University yesterday. Click above to view the latest issue of Alemany's monthly bulletin. Congratulations to our 2018 raffle winners! For those who would like to help the Alford family in this difficult time, a "GoFundMe" page has been set up to help the family. Please click the title above to see the web address. The faculty, staff, students, and alumni feel tremendous grief and sadness with the loss of Guy Alford III, Class of 2016. Register for the January 12th event today. Our friends at Menchie's are donating 20% to Bishop Alemany with any purchase from December 19th, 2018, through January 7, 2019. 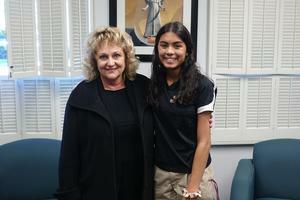 The Alemany Monthly October Issue is Now Available! 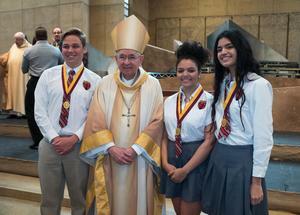 Click above to view the October issue of Alemany's monthly bulletin. 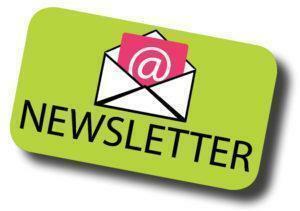 This is the second issue of our monthly newsletter for parents. Click above to see Vol. I, Issue 2: The October issue. Print it out and hand it out!